Hello, yes I finally made some time to write and show you some stamps. These I rather like. They are for Valentines day from the Philippines as I think you can tell. 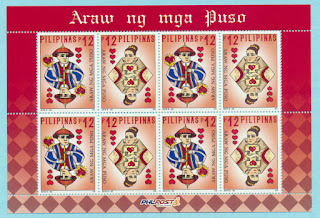 They are in a sheetlet of course but with pairs se-tenant showing the King and Queen of Hearts. I think Phil Post have done a nice job. How challenging must it be to come up with something new, year after year, for Valentines day stamps. 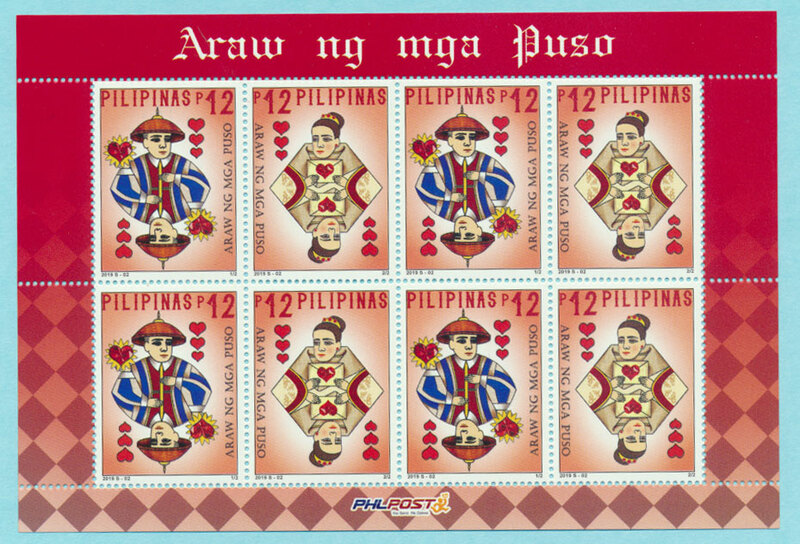 These stamps feature the Filipino King and Queen of hearts in national costumes to show the Filipino ways of celebrating the "Araw ng mga Puso' which means hearts day or Valentines day in tagalog. The image is meant to display the King giving his heart to his Queen and in return the Queen gives her words of endearment as an expression of her love for the King.